Beyond textiles, the common denominator of our research is practice-based, design-led research. Working within the domestic context, and particularly interested in the concept of Design Probes, I have found the Domestic Probes approach used within the Equator Project at RCA extremely inspiring and valuable. 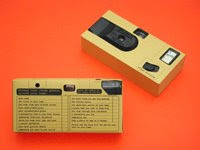 a collections of provocative tasks designed to elicit inspirational information from people about their lives at home. They provide an alternative to more traditional methods of user research from the social sciences, such as questionnaire studies, focus groups, or ethnographies. As Gaver, Boucher, Pennington and Walker argued in Cultural Probes and the Value of Uncertainty, the approach values uncertainty, playfulness, exploration and ambiguity as a research methodology, which is of interest to me as an exemple to deal with and recognize 'the notion that knowledge has limits', a perception particularly relevant in term of practice-based research. Discover more about the methods and perspective used within the Equator Project regarding domestic experiences here.